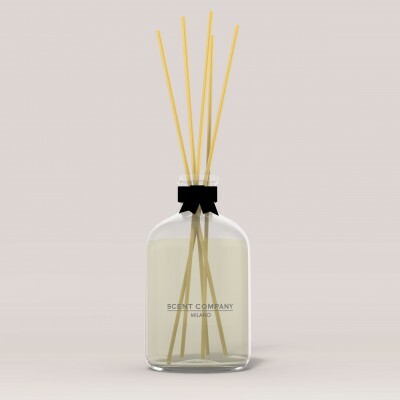 The best way to choose the right size of the rattan sticks diffuser is to identify the area size of the space you want to scent. The 250 ml capacity is usually suitable for ambiances with an area of 8-10 sqm. Made in Italy, transparent cylindrical glass, antique inspired apothecary bottle, with discreet silk-screen print or branded label, refill and 24,5 cm rattan sticks included. Made in Italy, Branded Box and rattan sticks included.